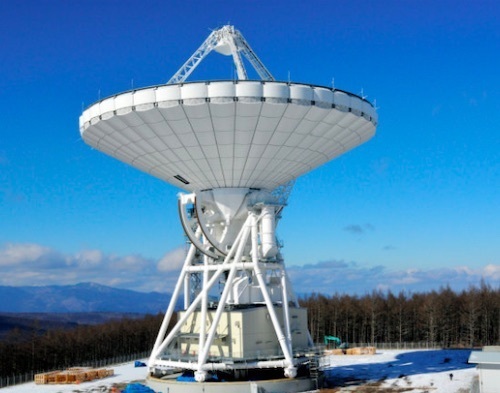 SAKU, Nagano Prefecture--With the Japan Aerospace Exploration Agency (JAXA) engaged in deep space exploration, a massive parabola antenna mounted on a facility under construction here will be vital for keeping communications open. The new parabola antenna is being built to replace the aging one at JAXA’s Usuda Deep Space Center in Saku, which was the largest in the nation, at 64 meters in diameter. It is expected to start communicating with Japan's spacecraft in 2020. 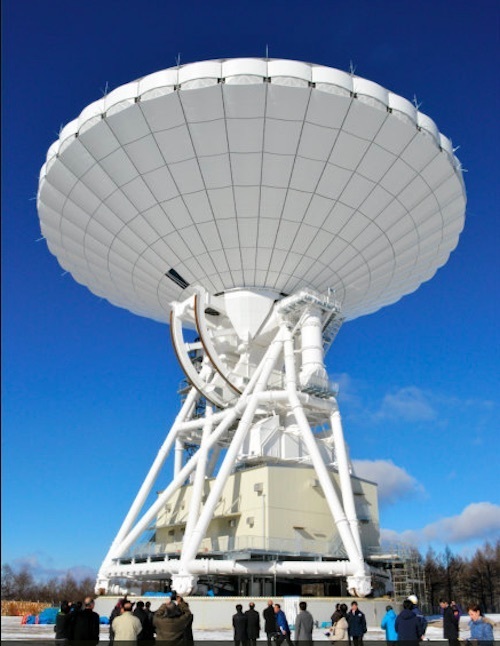 Although the succeeding model is smaller than its predecessor, at 54 meters in diameter, it is equipped with state-of-the-art technology capable of receiving twice as much data from a space probe by using a band of high frequencies. It is also expected to receive high-resolution images. The new facility, which is under construction in state-owned forests at an altitude of 1,580 meters and about 1.3 kilometers from the space center, was opened to the media on Dec. 15. It is 69 meters tall. When the facility is put into service in spring 2020, it will be remotely controlled by JAXA’s Tsukuba Space Center in Ibaraki Prefecture to control and communicate with the Hayabusa 2, spacecraft that has been exploring the asteroid Ryugu. It will also be used to communicate with the Mio, a probe that is en route to study the surface and magnetic field of Mercury after a spacecraft carrying it and another one was successfully launched in October. The project to build the new parabola antenna cost about 11.1 billion yen ($98.23 million).